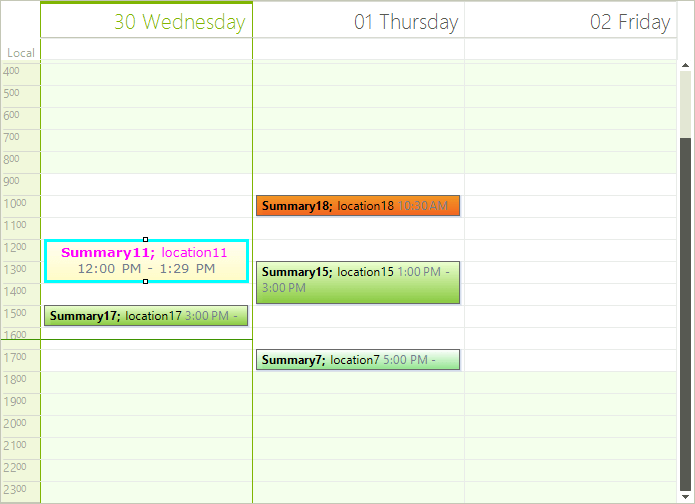 Appointments appearance in RadScheduler can be customized using the AppointmentFormatting event. Appointment elements are created only for the currently visible cells and are being reused when scrolling or navigating backwards/forwards in the RadScheduler . In order to prevent applying the formatting to other appointment elements, all styles should be reset for the rest of the appointment elements.